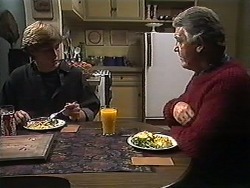 Clarrie can't finish his lunch and Ryan is worried – perhaps he should see a doctor. Clarrie insists he's fine, but Ryan always thinks it's a bad sign when the cook won't eat his own food, so Ryan finishes it for him! Des has called round to update Harold on how the potential buyers for the coffee shop are going – not well. He's had two serious buyers – Suzanne and another guy who has come out as an unsavoury character. 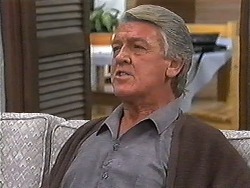 Harold says that there's no way he's accepting him as his partner, but Des says it's just rumours, and Harold of all people should know how rumours get out of control. Des tells Harold to relax – he wouldn't sell to anyone he doesn't trust. Joe's opponent scores 160 and Joe thinks he has no hope. He steps up and is about to throw when Kerry and Toby run in with his lucky darts, Toby says he's sorry – he took them with him. Joe says it's alright and he's just pleased to have them back. They stay to watch Joe. Cody and Todd ask Des if they can practice with their band at his – no-one else will let them. Des says he can't turn them down then, can he? He tells them about his renovation plans for the bathroom and Cody tells Des that her dad is a builder, if he needs any help with anything. Des takes his number down. 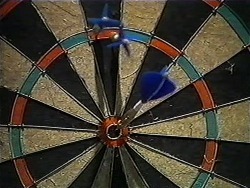 Joe needs a bullseye to win, it's tense and Toby, Kerry and Eddie watch on. He gets it though, so it's all good. 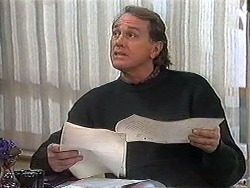 Paul comes over to give Joe his prizes - $150 vouchers for the Erinsborough Sports Emporium, a weekend in the honeymoon suite at Lassiters, $200 and some beauty treatment at the salon. Whacker takes the $200 off Joe. Joe walks over to Eddie who's just given out all the money he owes to people. He's made a $45 profit. So he thinks anyway, unit Paul wants his payment - $60. Eddie and Joe make the extra $15 up out of their own pockets. Harold tells Eddie that some prospective buyers are coming in today and he wants Eddie to keep an eye out for them. Eddie agrees to do so. A man comes in and tells Harold he's waiting for Des, Harold offers him a cup of coffee while he waits. Harold goes back over to Eddie, who asks if that's “one of them”. 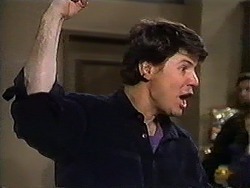 Harold thinks it is and tells Eddie to leave it to him. 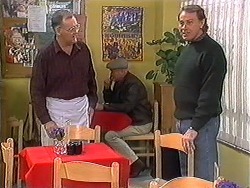 Harold goes over to the man and offers to help – he's Des's business partner. 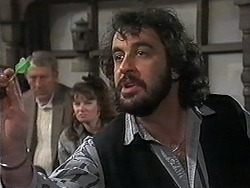 The man tells Harold it's really only a matter for him and Des ot discuss. Harold reports back to Eddie – he's going to keep an eye on him. Ryan has called Beverly over to see Clarrie, who insists he doesn't need a doctor. Beverly says that she'll be the judge of that. Ryan leaves them to it and Beverly sits next to him. She notices he's sweating, is irritable and has the shakes. Without doing any research she believes he has an alcohol related problem. Clarrie says he hasn't had a drink in days, but Beverly thinks he's suffering alcohol withdrawal. She prescribes him to drink water and take vitamin B. Clarrie asks Beverly where she's from, and she says she's Jim's wife, from number 26. Clarrie looks surprised – he didn't know! He asks her not to say anything to Helen about this. Harold is trying to spy on the man he thinks is the buyer for Des's half of the shop. Gemma comes in very happily, telling Eddie that if you don't smile your mouth heals up – he laughs. 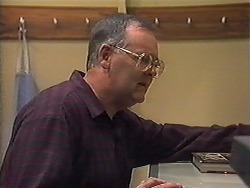 Harold goes over to see the man and asks him if he can pass on a message to Des. The man says he's got lots of time – he's on a low at the moment. He starts talking about the potential for the shop – it could be expanded outside and move the back wall back. Harold says he's not interested. Joe's brought home some sort of gym equipment, where you end up being upside down – Tby thinks it's brilliant but Joe doesn't look too keen! A customer complains to Gemma about her coffee – she didn't want cream. Gemma offers to change it, as she walks away the two customers ( a man and a woman) wonder where they get their staff! The man ells her to hurry up - they have better things to do than hang around the coffee shop. Gemma storms in asking where they keep the rat poison. Eddie asked what happened to the smile and Gemma slams the kitchen door. Harold goes over to the man who he thinks wants Des's half of the Coffee Shop and tells him that the Coffee Shop isn't doing very well at the moment, it's usually empty. As he says that a group of people come in. Eddie comments that it looks as though luck is changing and a woman looks on from the corner of the shop – presumably she is Suzanne. Des comes in and introduces himself to Doug – the builder for his bathroom. Doug tells him things are quiet at the moment and so he can start right away. Doug and Des leave – Doug's going to do a quote for Des and have a look at his bathroom. Harold tries to talk to Des but he leaves. Suzanne introduces herself to Harold and then announces that she wants to pull out of the Coffee Shop because of everything she's heard. Harold tries to tell her the Coffee Shop is a gold mind but has no success! Joe's having a go n this upside down thing. Toby wants a go but Joe says he's too small. Kerry and Toby leave and Joe is stuck upside down. 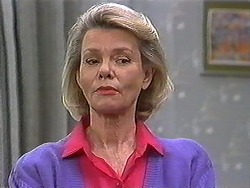 Ryan asks what's wrong with Clarrie and Clarrie says Beverly says it was a virus. Clarrie thinks they should have some fun – Ryan should have a party over the weekend and he'll make himself scarce. Des and Doug walk in on Cody and Todd kissing. Todd assures Doug that they weren't doing anything they shouldn't have been. 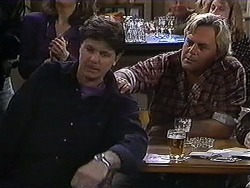 Doug and Des go to look at the bathroom and Todd and Cody carry on kissing whilst they wait for Melissa and Josh! Clarrie has come round to see an unenthusiastic Helen. Clarrie explains that he's worried about Ryan – who's working too hard. For this reason, Clarrie told him to throw a party but obviously he wants to keep an eye on it so would it be OK if he came over Saturday night, just to keep an eye on things without being in the way. Helen tries to protest but gives in and says OK. Clarrie flatters her, calling her an angel. 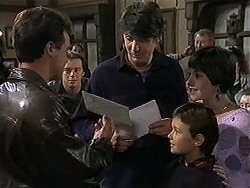 Ryan introduces Gemma to his friends: Annabel and Roland – they're the customers from earlier. Annabel says that they all went to school together before Ryan went to “that public school”. She asks how Gemma knows Ryan. GEMMA: We both go to “that public school”. Gemma takes Ryan's order and walks off, bumping into Matt on her way. He's got an estimate for the repairs and they can save $100. She kisses Matt on the cheek, thanking him. Ryan looks on from his table. He invites Annabel and Roland to his party, asking Annabel to be his date, just loud enough for Gemma to hear.